Yours for only P 48,957 per month. Welcome to Glenbrook Village, where our latest and most modern houses are located! 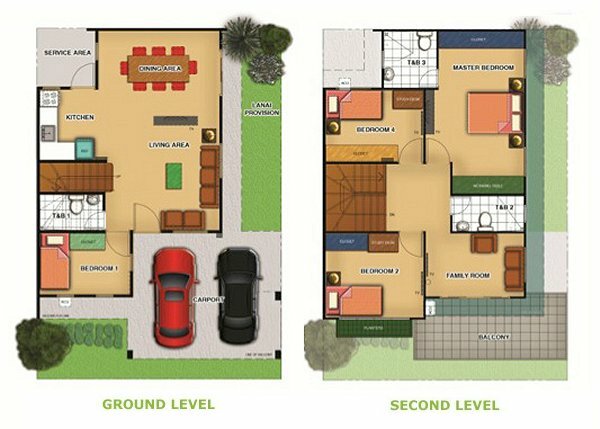 The Briana house model has a floor area of 110 sqm and a minimum lot area of 100 sqm. It has 4 bedrooms, 3 toilets & baths, 1 family room with balcony and areas for living, kitchen, dining and lanai. Its lawn can accommodate 2 cars. Turn the family room into an audio-visual theatre and enjoy the balcony just beside it! Pay the reservation fee of P 40,000. After 30-45 days, pay the monthly downpayment of P 38,597 for 15 months at 0% interest. You can also pay the full amount of the 12.5% downpayment in cash and get up to 7.5% discount. In doing so, you will no longer pay anything in the next 15 months. Yes, it's payment holiday for you and your family for more than a year! On the 16th month, start paying the monthly amortization of 48,957 under bank financing. Congratulations! Due to continued appreciation of land value in Lancaster New City, prices are subject to change without notice. For inquiries, sample computation requests and free site viewings, contact us at Tel. No. +63 917 795-0125 (Globe/Viber/WhatsApp). You can also use the form on the right if you prefer online inquiries. We constantly check any queries and make sure that we reply as soon as possible. You can also use the form on the right if you prefer online inquiries. We constantly check any queries and make sure that we reply as soon as possible. Lancaster New City Cavite is surprisingly near Metro Manila! You'll love Lancaster Estates' proximity to Manila. 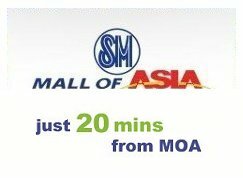 With the opening of the Manila-Cavite Expressway (CAVITEX), travel time from the Mall of Asia (MOA) or from the airport (NAIA) to Lancaster Estates takes only 15 to 20 minutes. The roads that lead you and your family to Lancaster Estates have 4 or more lanes (Roxas/Macapagal Boulevard, Coastal Road, Cavitex, Centennial Road and Avincula Avenue). You will not pass through any narrow street to reach your home and there's no traffic. A shuttle service is made available for you and your household to go around Lancaster New City and the nearby towns for a minimal fee. A transport terminal within the new city is now operational for added convenience of residents and guests. We have Metro Manila buses going to (and coming from) Lawton, EDSA and Buendia so getting to your favorite destinations is easy. Best of all, there's no heavy traffic as Lancaster New City is a masterplanned township that has a metropolitan vision. Either via public or private transport, moving from place to place is a breeze at Lancaster Estates in Mega Manila. To get to know more about Lancaster Estates and Lancaster New City in general, please don't hesitate to contact us who are on standby 24x7. We'll be very happy to take you or your representative to Lancaster Estates on a scheduled site visit... and it's for free! Email us at inquiry@lancasterestates.com now! Ready for occupancy (RFO) houses are available on limited basis. Please contact us for more information. Please click a house to see the details. 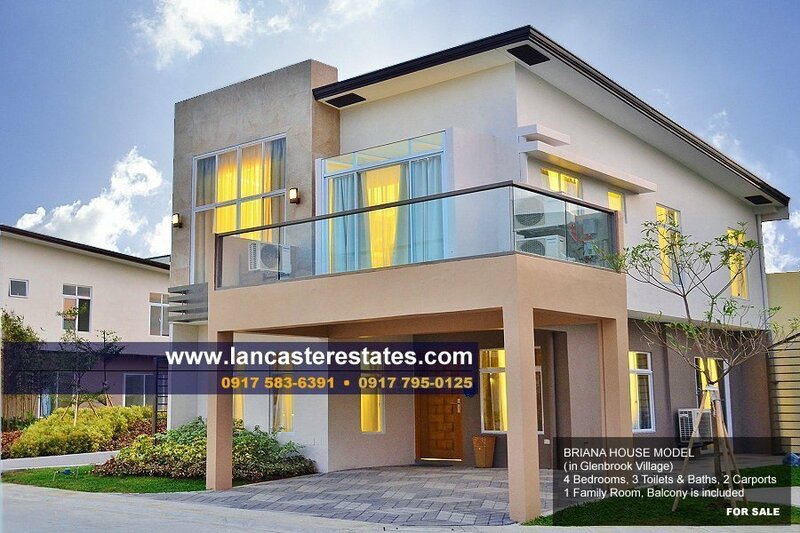 Lancaster Estates was conceptualized and developed by Property Company of Friends, more popularly known as Pro-Friends, which started operations in February 1999. Since then, Pro-Friends has provided more than 20,000 quality and affordable housing units to its satisfied clientele. The company prides itself in having developed a housing technology that has vastly improved not only the quality of its products, but also the efficiency of its operations and, consequently its financial position. Text us at 0917 795-0125. We'll answer your inquiries and schedule a site viewing at Lancaster Estates for you or your representative. 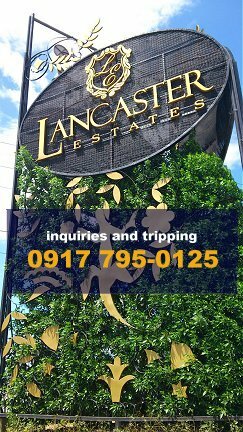 Pay the reservation fee for your preferred house and lot at Lancaster Estates. Please bring a valid ID and your TIN No. Our Lancaster Estates sales office accepts credit cards and cheques. From the 1st to the 15th month, pay the monthly downpayment (see sample computation). A list of requirements will be provided to you for your guidance and our team will assist you in every step of the way. 4. BANK FINANCING BEGINS AND THE HOUSE IS YOURS! On the 16th month, bank financing commences. For your convenience, we will handle the housing loan application and you will just wait for the bank to call you up. For details, please refer to the monthly amortization in the sample computation.